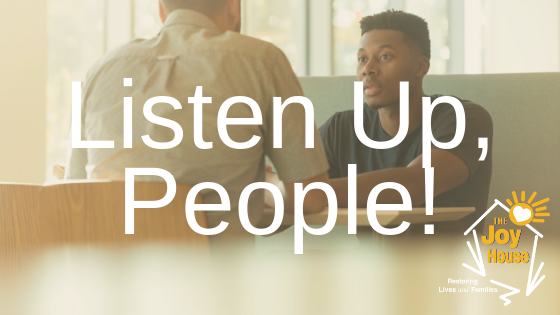 Counselor’s Corner – Listen Up, People! Home/Counselor’s Corner – Listen Up, People! Relationships have great power to heal and trusting relationships are often formed by careful and intentional listening. David Mathis, author of “Habits of Grace” wrote: “Poor listening rejects, good listening embraces, poor listening diminishes the other person, while good listening invites them to exist, and to matter.” Mathis’s words are reminiscent of the ancient wisdom of James who encouraged Christians of the first century to be, “quick to listen, slow to speak, and slow to become angry” (James 1:19). When we are quick to listen and slow to speak we affirm the worth of others. When we tend towards speaking before listening we may confirm their insecurities and feelings of worthlessness. Healthy listening is built upon caring about the needs of others above our own. It is a way of “speaking” respect and love without uttering a word. It is a privilege to listen intentionally and enter deeply into the life of another. James Petersen (in “Why Don’t We Listen Better”) described the joy of listening in terms of being invited into the basements of people’s lives. We begin on the front step of their lives. We are then invited onto the front porch, then the Living Room. After some time we are invited into the kitchen for a cup of coffee. If we have listened well then perhaps the person invites us to the basement where collections are kept that are not on display for all the world to see. It is here, in the “basement of people’s lives” where relationships can grow strong and healthy. (1)Ritual Listening: Giving the appearance of taking in the other person’s words while only waiting for pause so that we can get our point across or win the debate. (2)Springboarding: Listening only for an opportunity to springboard off into a different subject or into a story in which we can be the star. (3)Nexting:This occurs when we use strategies to move on to another person leaving behind the person who was eager to tell us their story. We should be mindful of listening in ways that build up others, encourage others, and make others feel valued. We should remain mindful of what it feels like to be the one nexted or springboarded. Listening does not require a great effort on our part. But it does require the commitment to care for and affirm others. We may never know whose life we have deeply impacted by simply being quick to listen, slow to speak. 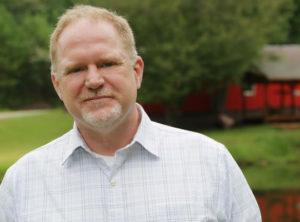 Garry Barber is a Licensed Clinical Pastoral Counselor (NCCA) who holds Masters and Doctoral degrees in both biblical studies and family counseling. For nearly 3 decades he has sought to guide individuals and families to a healthier, more functional life. The Joy House Counseling Center exists for the purpose of providing a faith-based option for residents of the Highway 575/ 515 corridor who seek guidance with life’s problems. We have locations in Pickens, Gilmer and Cherokee Counties with fees based on income and ability to pay. We offer counseling to all ages, from 7 to 70, with professional services to a wide variety of individuals, families and their needs. Contact our Counseling Center via phone at 678-452-2037 for more information. Boys’ Hard Work for Disc Golf Tournament Pays Off!